ICC-ES staff during a one-day training seminar on delivering exceptional customer service. ICC Evaluation Service (ICC-ES) administrative and technical staff from the eastern and western regional offices took part in a one-day training seminar on "How to Deliver Exceptional Customer Service." Staff focused on the vital role of all customer-contact personnel, techniques for better communication and providing stellar service in a high-tech world. The U.S. Environmental Protection Agency (EPA) recognized ICC-ES as a third-party certifier under the Formaldehyde Emission Standards for Composite Wood Products Rule. ICC-ES is one of only 20 providers worldwide recognized by the EPA to test that composite wood products sold, supplied, offered for sale, imported to or manufactured in the U.S. are compliant with the rule. 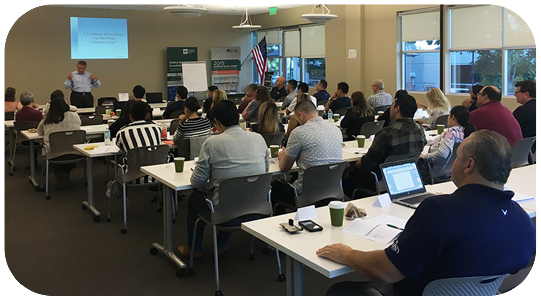 ICC Evaluation Service continues to receive applications to evaluate products in accordance to the Los Angeles Building Code (LABC) and the Los Angeles Residential Code (LARC). 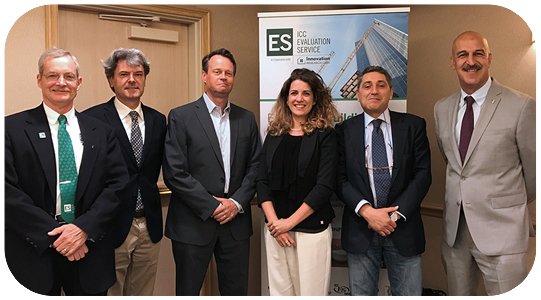 The latest report issued to these codes is for MiTek USA Inc.
Delegates from the Institute for Construction Technologies of the Italian National Research Council visit ICC-ES. A delegation from the Institute for Construction Technologies of the Italian National Research Council (ITC-CNR) visited ICC-ES to learn more about its process, share information and work towards coordinating some of ICC-ES' Acceptance Criteria with ITC-CNR's European Assessment Documents to benefit mutual clients. 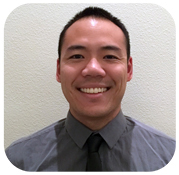 Vince Yang, P.E., joins ICC-ES in the Western Regional Office in Brea, Calif., office as a staff engineer, primarily working on the evaluation of anchor products. He received his Bachelor of Science in Environmental Systems from the University of California, San Diego, and his Master of Science in Civil Engineering from California State University, Long Beach. Yang is a licensed civil engineer in the state of California and has more than four years of structural engineering experience, primarily designing commercial buildings and churches for high seismic zones in California. Yang has a strong technical background working with wood, steel and concrete applications and has abundant experience working with many different professionals within the construction industry, including architects, engineers, contractors, manufacturers and city building officials. His client relations and customer service skills are one of his greatest strengths. 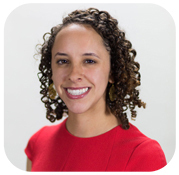 Jessica N. Thompson joins ICC-ES in the Western Regional Office as an evaluation specialist, working on a variety of evaluation reports as a general practitioner. Thompson received her Bachelor of Science in Civil Engineering from the Colorado School of Mines in Golden, Colo. Graduating in 2011, she has six years' experience focusing on materials testing, geotechnical design, construction coordination and lab accreditation. The International Code Council (ICC) and its legacy organizations have been known for years for both the building codes and building product evaluation. What many people may not realize is the experience and the dominance of ICC and ICC-ES in the area of plumbing, mechanical, and gas codes and product certification. 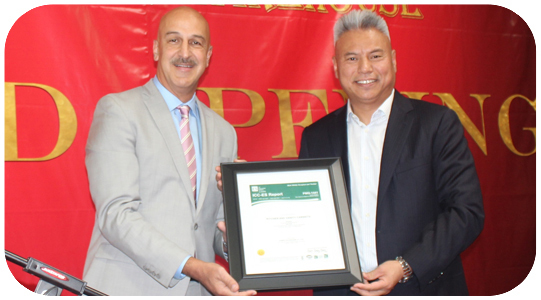 ICC Evaluation Service President Shahin Moinian presents Goldenhome Chief Executive Officer Pan Xiaozhen with an ICC-ES PMG certificate. ICC Evaluation Service President Shahin Moinian, P.E., presented Goldenhome Co. Ltd. with an ICC-ES PMG certificate for its kitchen and vanity cabinet products at the grand opening ceremony of its Western Regional Center in Los Angeles, Calif. A leading kitchen cabinet manufacturer in Asia, Goldenhome specializes in research, design and manufacturing of kitchen cabinets ranging from lacquer, thermofoil, laminate to wood, bamboo and aluminum. The Goldenhome kitchen and vanity cabinets recognized in ICC-ES Report PMG-1441 are manufactured in Xiamen, China, under a quality control program with annual surveillance inspections by ICC-ES. ICC Evaluation Service, the premier product evaluation/listing agency in North America, and Innovation Research Lab, one of the most respected product testing/research labs, entered into a cooperation agreement earlier this year in order to better serve the manufacturers of building and plumbing products.